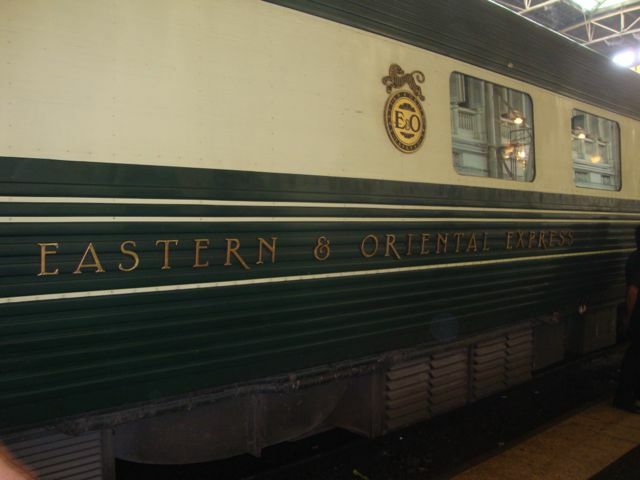 Last year as an extra special treat for my Birthday, my darling husband arranged for us to take the Eastern and Orient Express from Bangkok to Kuala Lumpur. The train does go all the way to Singapore but as were continuing our Asian adventure in Malaysia we got off in the capital. 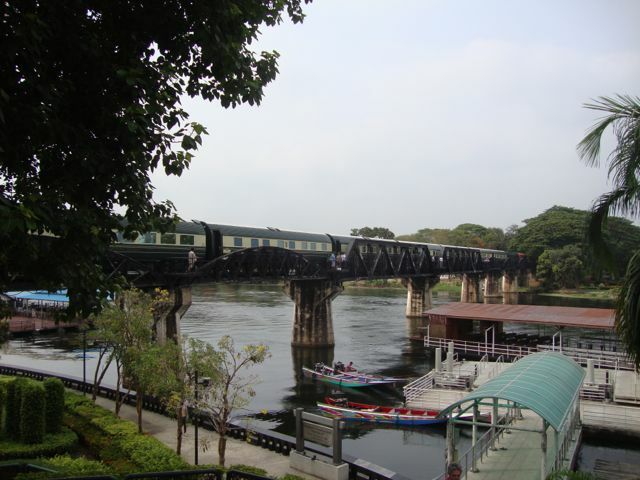 Here is some of what we experienced on the first part of the journey from Bangkok to Kanchanaburi and the River Kwai. We boarded in Bangkok on the evening of my Birthday and were shown to our cabin toward the rear of the train, conveniently located near the bar and observation car. 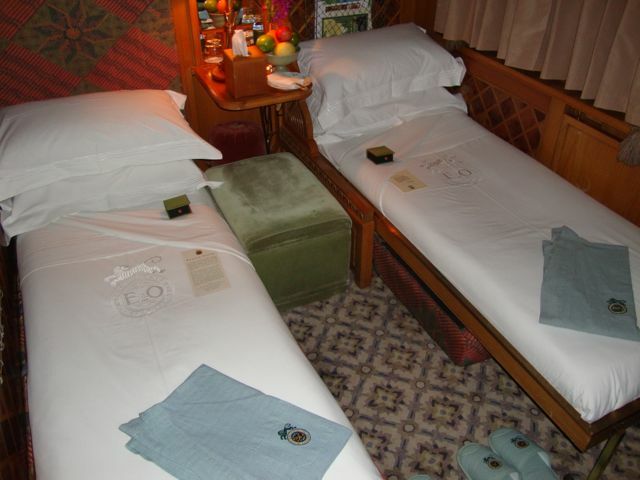 The cabin though compact was beautifully decorated, with all the ornate style the name Orient Express conjures. We were surprised to find we had some celebrity guests traveling with us. Phil Vickery, the chef not the rugby player and his camera crew were onboard and they were filming a feature for ITV called Phil’s Asian Feasts. 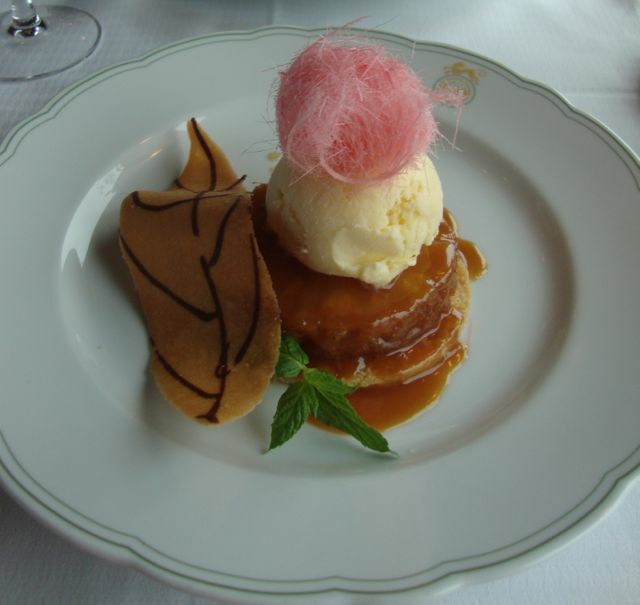 The first evening was time to relax, settle in to our cabin and take in our surroundings, followed by dinner in the sumptuous dining car. The meal was extraordinary and all the more remarkable when you see the size of the work space the chefs had to work in. After dinner to my surprise the wait staff produced a delicious chocolate cake and sang Happy Birthday, it appears they saw my birth date on my passport and took it upon themselves to mark the occasion, a real treat. The evening wound down and when we returned to our cabin what had been seating area was now converted into two small beds. Tired from the excitement of the day and a couple celebratory cocktails we turned in for the night. The romantic notion of a train gently rocking you to sleep as it wends it way through the countryside was soon dispelled with sleep avoiding us until the early hours when we thankfully appeared to pull into a siding for the remainder of the night. Early the next morning we crossed a wooden trestle bridge at Wang Pho on our way to Kanchanaburi and the bridge over the River Kwai. The train stops on the bridge and we get our first glimpse of the river. The infamous bridge actually spanned a river called the Mae Klong but it was renamed Kwai after the now famous movie had tourist come in search of The Bridge. We had time in the area in order to disembark the train and we were taken first for a trip along the river and then to the Death Railway museum and cemetery. 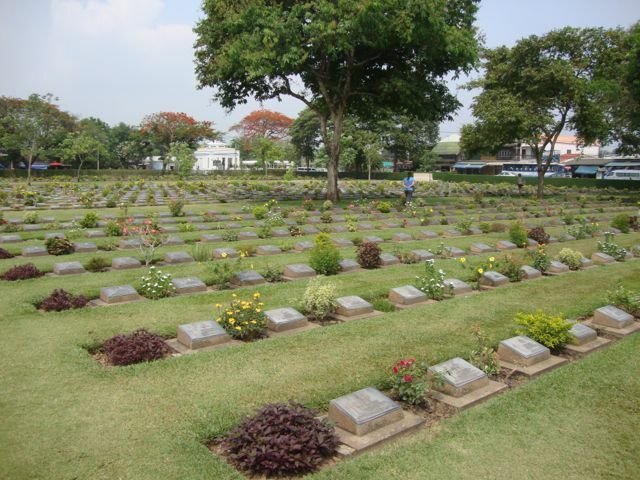 However harsh the conditions might have been portrayed in the movie, nothing can prepare you for the heartbreaking displays in the museum and a stroll around the adjoining cemetery, with it’s row after carefully tended row of headstones, many of the graves marked “Known unto God”. 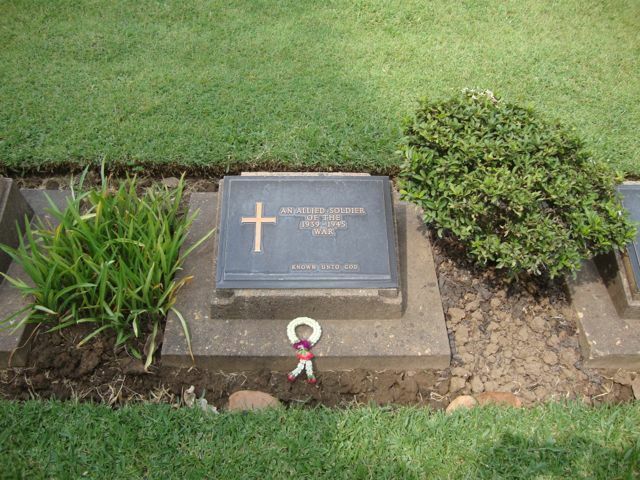 And this is just one of numerous grave sites throughout the region. It was a moving experience and one not soon erased from the memory. We boarded the train later in the morning and continued our journey toward the Thai-Malay border and the next part of our train adventure.